I love recipes that are simple to execute but yet provide an amazing outcome. 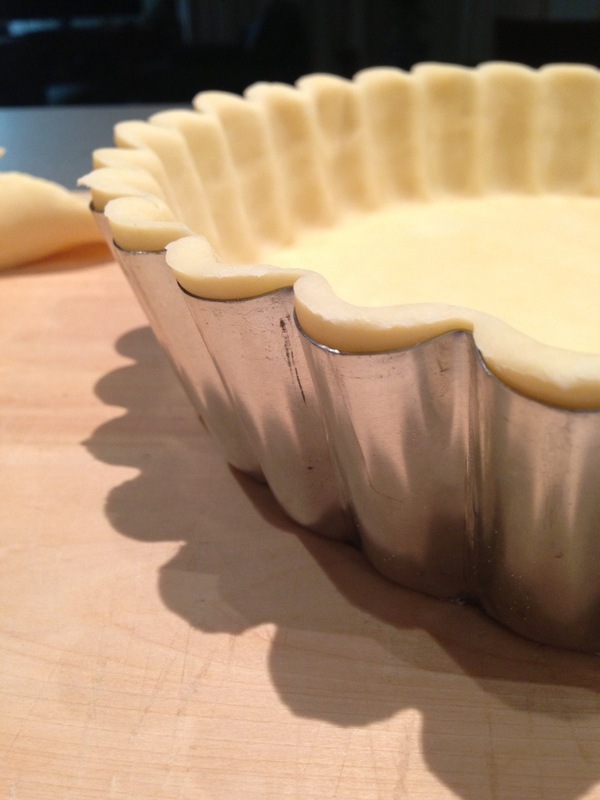 This simple shortcrust pastry recipe definitely fits the bill. It’s rich, flakey and best of all – short. 1. All the wet ingredients need to be fridge cold. 2. This recipe works in a food processor. 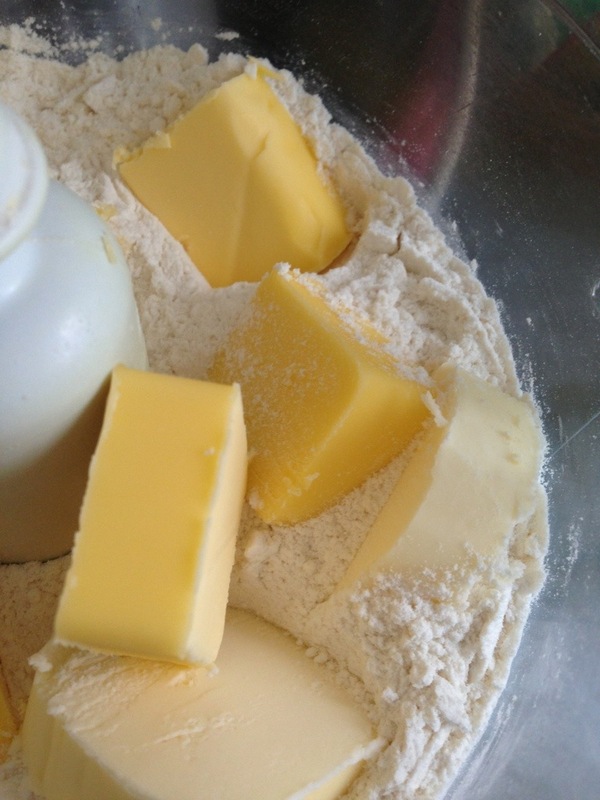 If you want to do it by hand, you will need to cut the butter into smaller pieces and use your fingertips to rub the butter into the flour, until it becomes a fine crumbly mixture. 3. 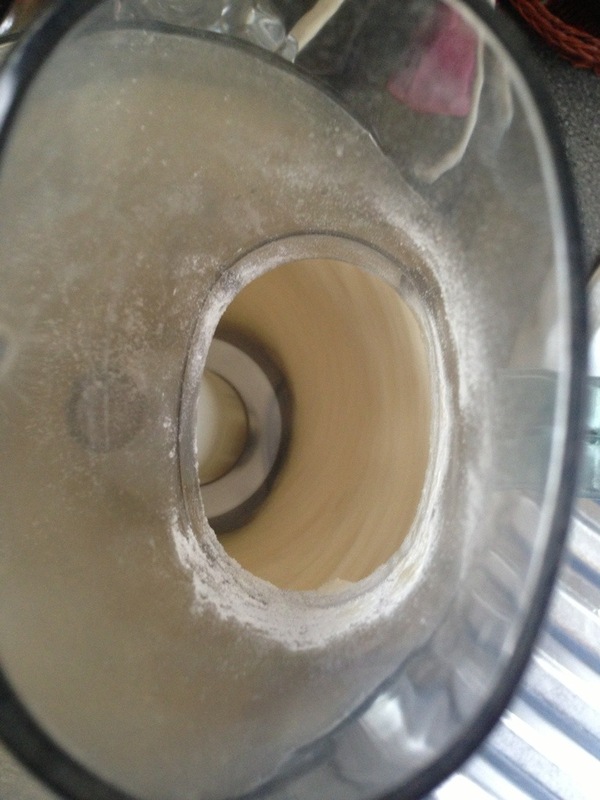 I don’t provide a quantity for water because it is pointless – depending on where you are and how you store your flour, you may need more or less. 4. The magic ratio is double the amount of flour to fat. 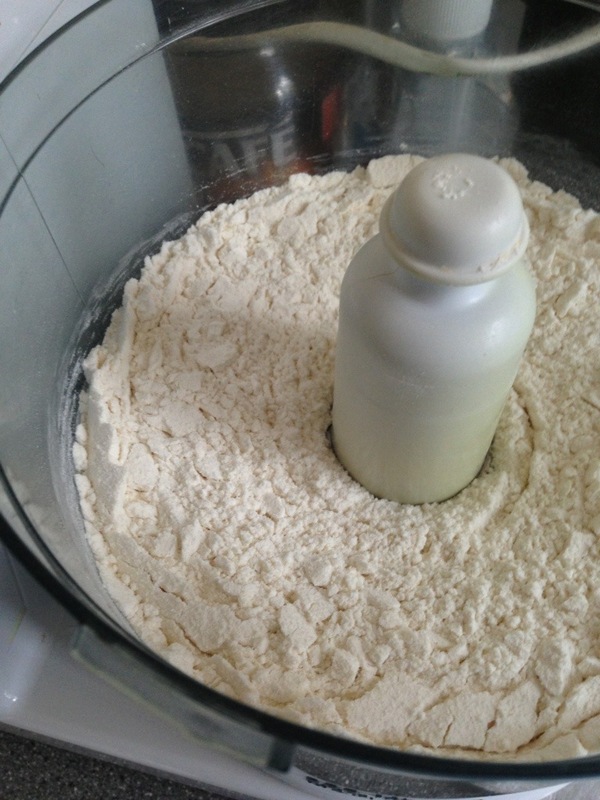 Pour the flour into a food processor and pulse it a few times to loosen up the flour. Cut your butter into small pieces so that they break down easily when processed. I used whatever leftover butter I could find in the fridge – hence the different hues of yellow. 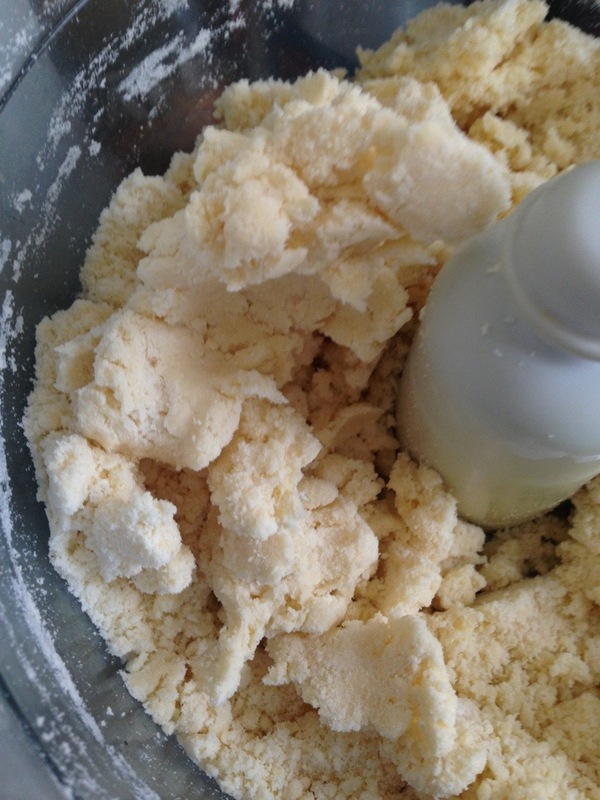 Turn the processor on full speed and blitz the mixture until all the pieces of butter are incorporated into the flour. Don’t forget to cover the chute with either your hand or the cup that it comes with – it will get messy if you don’t. Firstly, put the lip of the vessel containing the water (cup, bottle etc) against the lip of the processor chute. Tilt the vessel until the water just starts to flow down (I call it the tipping point) into the food processor bowl and pour it at that angle to the count of 5. That’s what I do – and it always works. In my mind it should work for you too because water should have the same fluidity wherever you are – so it should pour at the same rate at the ‘tipping point’. Now, turn the processor on again and keep pulsing it until you see the mixture just start to form into clumps. There should be lots of tiny pieces at the bottom and a few chunky ones on top. If, after many pulses, it doesn’t start forming, splash more water in and pulse a few more times. Repeat until you get something that looks like this (see photo below). Don’t worry if it looks to dry. It’s usually not. 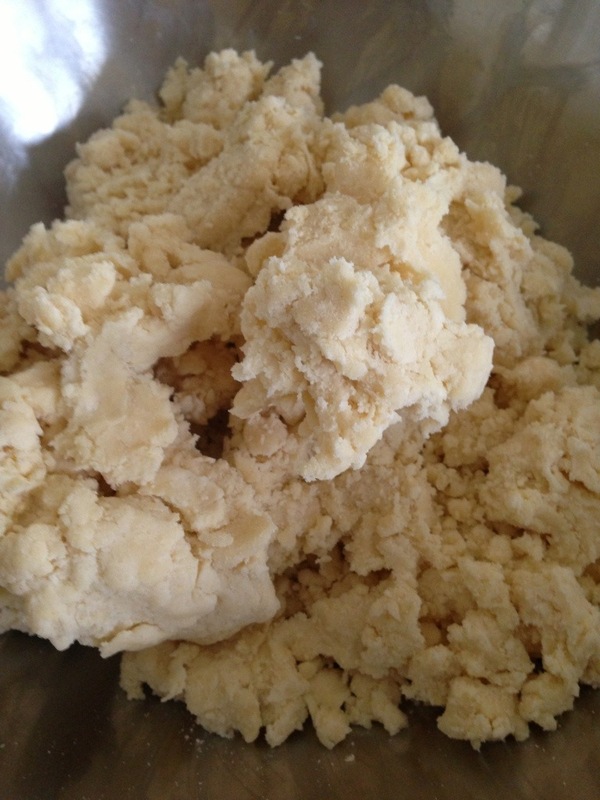 Pour the mixture into a bowl and with your hands, squeeze together all the large dough chunks. As you do that, press the chunks onto the smaller pieces so they incorporate into it and eventually you’ll end up with one rough chunk of dough. 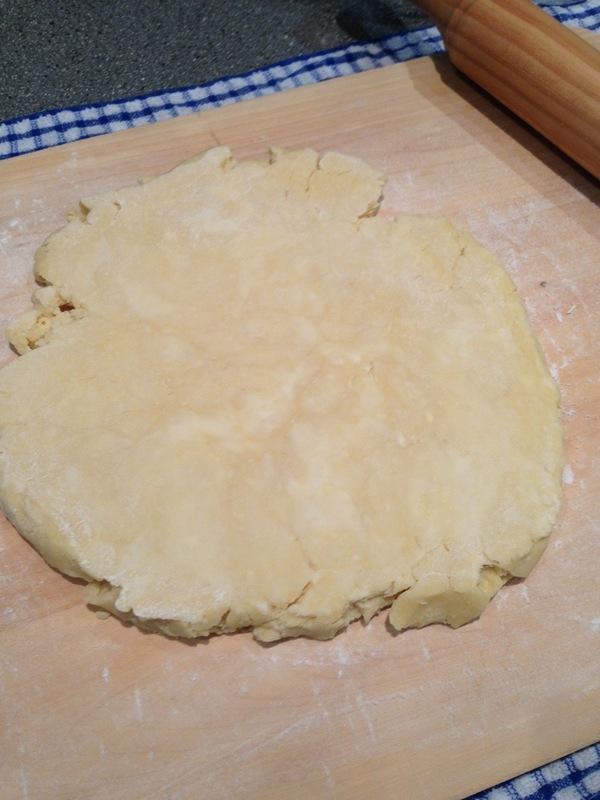 Form the dough into a disc and wrap it with cling wrap. Put it in the fridge for at least 3-4 hours for it to rest and harden up. You can then roll it out and use it however you want.